Sporting activity taking place between pupils who attend the same school. For example, this can be in the form of an inter-class or house activity. Contact your School's PE Department for more information. Sporting activity taking place between schools from the same partnership (School Sport & Physical Activity Network, SSPAN) area - either as a one-off fixture or as part of a league. These competitions act as qualifiers for our Level 3 County Finals (known as Super-Series and Championships) or can be run as developmental competitions or festival events. Those interested are encouraged to contact their PE Departments and Contact your local School Games Organiser to ensure your School gets involved! We here at Leicester-Shire & Rutland Sport (LRS) stage the County Final showcase events in the form of Super-Series Finals and Championships. Level 2 winning partnership school teams then compete at these Finals to be crowned 'County Champions' in their particular competition! 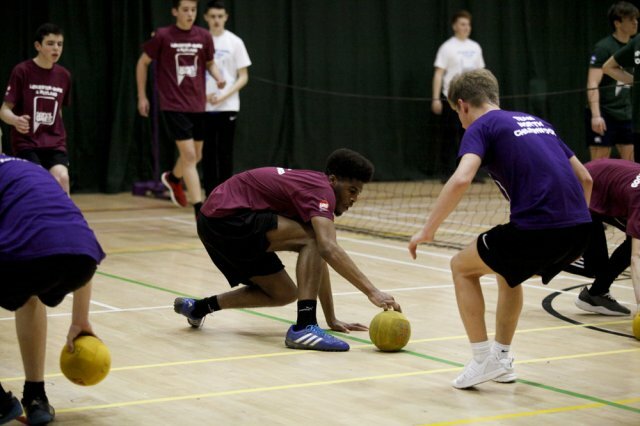 Leicester-Shire & Rutland School Games Super-Series Finals – run throughout the year in a selection of sports, some feeding to regional and national competitions. Leicester-Shire & Rutland School Games Spring and Summer Championships - multi-sport showcase events taking place in March (Spring) 2018 and June (Summer) 2018. Get Social with the School Games! We'll be uploading photos from the Super-Series Finals and Championships - get tagging!